Living with any type of allergy, intolerance or restrictive dietary requirements can be challenging at times. 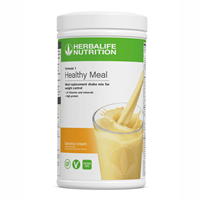 At Herbalife Nutrition we understand that maintaining a balanced diet can be problematic when you have special dietary needs. For this reason, many of our carefully formulated Herbalife Nutrition products also tick the lactose-free, gluten-free and vegan-friendly boxes – so that they can work for you. Explore our free-from and vegan range to see which of our products would fit your diet*. Herbalife Nutrition products are clearly labelled so you can instantly see if they are suitable for you. Having specific dietary requirements does not mean that you have to compromise on great taste and balanced nutrition. Look through our list of delicious Herbalife Nutrition products – all suitable for your particular needs, whatever they might be. *Please refer to product labels to find specific dietary information.